Razer? I hardly even know her! Every time I see a razor blade in person I have to pick it up. Those things are dangerous and shouldn't be left lying about. Kids could put them in their mouth or pigeons could weaponize them. Maybe mobsters will smuggle them into prisons to slice their garlic. The same thing happens when I see a Razer Blade. I try to keep tech fetishization to a minimum, but seeing a sort of pretty, svelte laptop playing Sleeping Dogs at 3200 x 1800, I can't help but be a little bit impressed. I pick up the Blade just to make sure it isn't attached to the desk it's on with secret desk innards powering it. Nope, it's a for-real laptop, lighter and thinner than what I'm writing on now and I can barely run Portal. If you can trick your work into expensing $2,000+ laptops, you should get one of these new two. The Razer Blade Pro is in an iterative year. 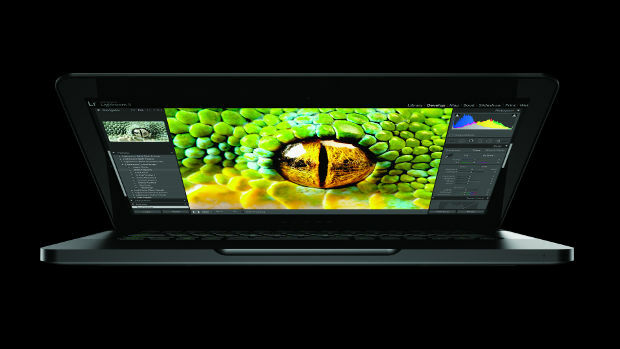 Of course there has been an obsessive attention to making the laptop more powerful, abetted by Nvidia's Maxwell generation Geforce GTX 860M. With what is seen as the fastest mobile GPU, the Pro has seen 46 percent higher benchmark performance. With the 860M comes a host of Nvidia Geforce features. ShadowPlay allows for easy live streaming to Twitch and ten-minute buffered game capture without performance issues while GameStream allows streaming from the Pro to a remote display. Nvidia's Battery Boost, meanwhile, can reportedly double battery life. Locking the frame rate to 30 will help with that as well. Doubled RAM (now 16GB) and a fourth-generation Intel i7 have all been jammed into the Pro's consistent form factor. Razer is also pushing its Switchblade UI. The touch pad on the Pro is also a screen, which you can use to browse Twitter or watch YouTube -- even while you're playing a game. It's all customizable and Razer has more partnerships in the works with applications. A new Twitch app lets you watch streams on the little screen and even chat while the Windows 8 Charm app tries to pare down the new OS. Razer even co-developed a DJ app with electronic/dance artist Afrojack. Here's where things get crazier. The (relatively) cheaper 14" Razer Blade started at $400 less last year. We expect technology to go down in price. I think we still do. I still do, anyway. But an edge-to-edge glass 3200 x 1800 10-point capacitive multi-touch display doesn't come cheap. And it looks incredible, thanks also to a 250 percent improved contrast ratio and 160-degree viewing angle on both axes. In his review, Dale was disappointed with the Blade's lack of vibrancy and color in its display, particularly, "compared with Apple's MacBook Pro Retina." Razer clearly took that criticism to heart, delivering the highest resolution 14" laptop display there is. 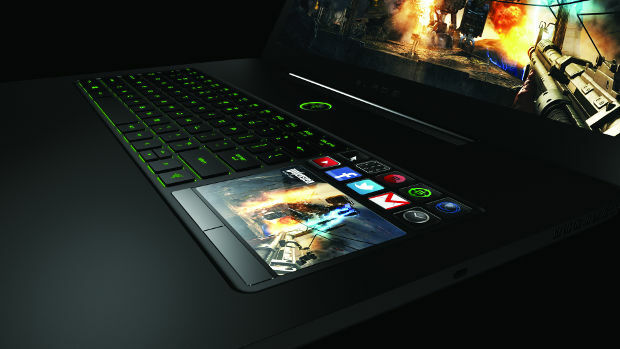 Somehow Razer managed to squeeze that ludicrous touch display -- does that really make Windows 8 that much more usable? -- into its flagship gaming laptop without sacrificing its claims of being the thinnest and lightest in its field. ".7 inches thin," Razer explains in the same way my mother talks about how many "years young" she is. 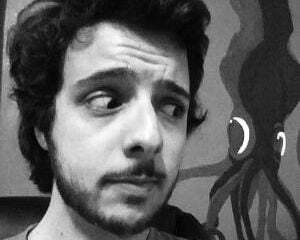 Sei vecchio, va bene. The new Blade uses Nvidia's GTX 870M, a fourth-generation Intel i7, and a bunch of other computer parts (specs are on site, naturally) to deliver around 65 percent benchmark improvements. Which means when Battlefield 4 crashed, it wasn't the computer's fault, and Sleeping Dogs looked more vivid than ever and all I want to do now is play it more. The average FPS at 3200 x 1800 during its benchmark was over 50. You could probably run that on the battery for longer than my laptop will play a movie with the display turned off (critical warnings before one True Detective episode finished).